As part of the ongoing construction works on plots F2 & F3 (next to Oracle) there will be a temporary footpath closure from week commencing 3rd July 2017 for approximately 1 week and we hope to reopen it during week commencing 10th July 2017. Click read more to view more details. As part of the ongoing construction works on plots F2 & F3 (next to Oracle) there will be a temporary footpath closure from week commencing 3rd July 2017 to the Hawkeshaw Brook footpath (to the rear of the Oracle building between Central Boulevard and the Country Park). 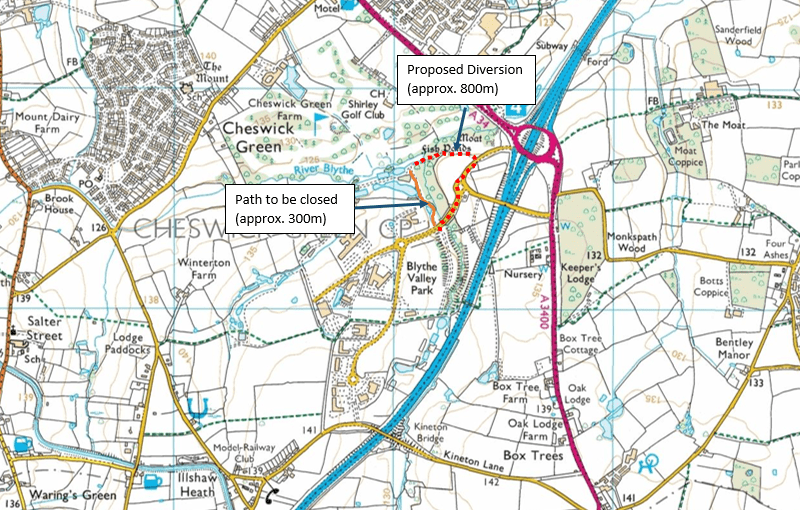 A diversion will be put in place providing an alternative route into the Country Park. The footpath will be closed for approximately 1 week and we hope to reopen it during week commencing 10th July 2017. Pedestrian management signs will be installed on site and the area will be fully fenced off with 2m high safety fencing whilst work is carried out. Please see the attached image for reference.